If there is something most of us can agree with, it has to do with the fact that we are largely a debt based society. We are all in debt in some way whether we like it or not. Of course, you are somehow reading this right now and wondering how I can make a sweeping statement like that. Your credit card repayments are up to date, you don’t have a mortgage and simply can’t understand why I made hasty generalisations concerning the sensitive but important issue of debt. Well, national debt has indeed made sure that all of us irrespective of our financial muscle are in debt in one way or the other. While it would have been a pleasure to delve further into the intriguing subject of national debt, I beg to digress and focus on credit repair companies and how you can go about finding a legitimate company especially if you have bad credit. This simply makes it impossible for you to get approved for a loan facility or a mobile phone contract. If you live in the UK and distress because of the status of your credit score, you probably have had to contend with numerous enticing offers from various credit repair companies offering quick fix solutions. You also have been promised the heaven only to realise that you were delivered the earth in rather unscrupulous circumstances. If you are that individual, this post is specifically written for you. It aims to achieve two objectives – enlighten you and help you make an informed decision. Granted, there are thousands of credit repair companies in the UK market all competing to catch the attention of individuals reeling from bad credit. So how do you go about finding a legitimate one? The reality of the matter is that the credit repair industry has earned a bad reputation over the years because of the uncanny ability to swindle and offer lip service to customers. For this reason, getting the right legitimate service requires that you check whether a given service is duly registered and adhering to the set ethical standards. Ask for registration certificates and licenses to help you verify whether a given credit repair company is offering services legitimately or if it’s simply a briefcase company. Secondly, ask to be given a contract before you sign any contract specifically outlining your rights as well as obligations. The contract should cover such important and sensitive aspects such as a detailed description of all the credit repair services you are entitled to, the total cost of the services you will be receiving and applicable fees not to mention the duration it will take for you to see tangible results. 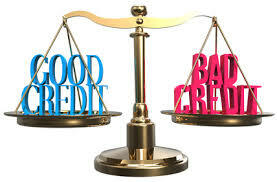 Thirdly, a legitimate credit repair company is open and honest about the services they offer. For one, a legitimate credit repair company should never ask you to pay for services upfront or advice you against contacting credit bureau agencies. Fourthly, they need not give you false hopes. Utterances such as “we will help you remove all negative information from your credit report” should raise a red flag as many just use it as a mere PR campaign to romp in as many customers as possible. While it is possible to gradually repair and remove all negative information, blatant promises made to bring in customers should be suspect and held with the contempt it deserves. Last but not least, if a credit repair company asks you to commit some form of fraud with the intention of repairing your bad credit status that should be grounds for suspicion and a green light that the company is not honest or legitimate. To sum it up, there are indeed many ways you can approach the issue of credit report repair without involving a credit repair company. However, if you choose to enlist the services of such a company ensure that you get value for money by settling for a legitimate one. Remember the saying, it is better to be safe than sorry! Why is it essential to enlist services of credit repair companies? 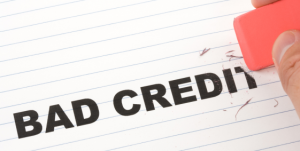 What are the underlying benefits of credit repair?